Below is our FOB mine price and general specifications for both Steam and Metallurgical Coal - subject to change. Coal has many important uses worldwide. The most significant uses are in electricity generation, steel production, cement manufacturing and as a liquid fuel. 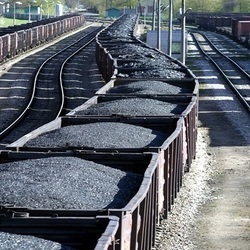 Around 6.1 billion tonnes of hard coal were used worldwide last year and 1 billion tonnes of brown coal. Since 2000, global coal consumption has grown faster than any other fuel. The five largest coal users - China, USA, India, Russia and Japan - account for 77% of total global coal use. The biggest market for coal is Asia, which currently accounts for over 65% of global coal consumption; although China is responsible for a significant proportion of this. Many countries do not have natural energy resources sufficient to cover their energy needs, and therefore need to import energy to help meet their requirements. Japan, Chinese Taipei and Korea, for example, import significant quantities of steam coal for electricity generation and coking coal for steel production. Other important users of coal include alumina refineries, paper manufacturers, and the chemical and pharmaceutical industries. Several chemical products can be produced from the by-products of coal. Refined coal tar is used in the manufacture of chemicals, such as creosote oil, naphthalene, phenol, and benzene. Ammonia gas recovered from coke ovens is used to manufacture ammonia salts, nitric acid and agricultural fertilisers. Thousands of different products have coal or coal by-products as components: soap, aspirins, solvents, dyes, plastics and fibres, such as rayon and nylon. Coal is also an essential ingredient in the production of specialist products.